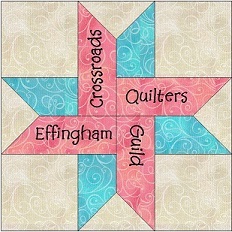 The Crossroads Quilters Guild Makes and provides quilts, cancer caps, small blankets and other items to many charity organizations. Here is a little more info on what we do! (Size: From twin 65″x88″ to lap size 36″x48″ quilts, If you will be making Quillows they require the following: Width of Fabric X 2 yards + 19″ square for pillow) The Guild may also have a selection of fabric and batting that you can use or feel free to use your own stash to make the quilts. Donations of patriotic and sports themed fabric are also appreciated . Please contact Project Head MaryJo T. for more information and with any questions you might have! Neonatal Quilts for Cardinal Glennon in a newer project for the guild, beginning in 2014 when a Charter Guild members grandchild spent some time in the Neonatal unit. The hospital uses the small blankets to give the little ones some extra warmth. Requested size 20″ X 24″ (on average) Please Contact Guild Member Robin W. for more information and with any questions you might have. The Crossroads Quilters Guild was asked to help make Cancer Caps by a local school group. The group provided us with the original (and slightly complicated) pattern. The simple updated pattern used today goes together quickly and easily. If you wish to make cancer caps please contact Guild member Sue W. for information and a pattern. Project Linus is dedicated to providing a quilt, blanket, or afghan to sick children everywhere. Project Linus covers children from ages birth to eighteen years of age so all sizes of blankets are needed and excepted. For more information on making quilts for the local Project Linus organization pleas contact the local Project Linus Coordinator.